The Michael's Culinary Team was back in the kitchen at ABC 7 today! 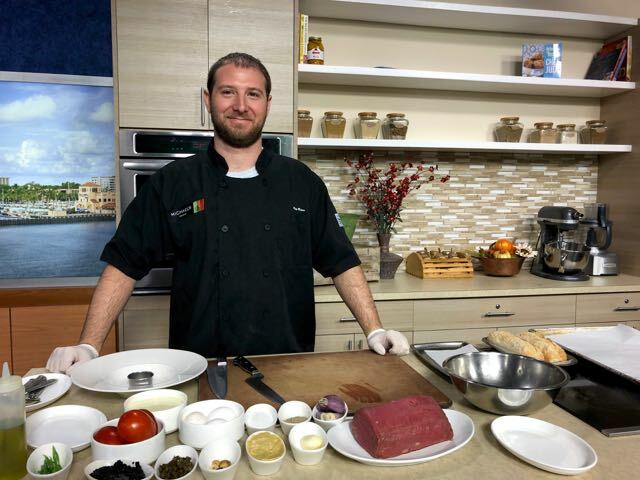 Thanks to Sous Chef Kory Minor for sharing insights about the Prime steaks showcased at Michael's On East including in one of our newest starters. Here's our recipe for the Restaurant's brand-new Filet Mignon Tartare. Put eggs, mustard, garlic, sherry vin, salt, pepper and lemon juice in robot coupe. Spin until eggs are blended, about 20 seconds. Slowly stream in blended oil. Aioli will be very thick. After the blended oil is added, add the other 1 oz of sherry vinegar. This will loosen the aioli. Then stream in the extra virgin olive oil to tighten it up. Season to taste. Preheat the oven to 400 degrees. Place the garlic flat on a nonstick cookie sheet pan and bake until they get crispy and golden-brown. (Set aside until the dish is ready to be prepared.) Place the beef in a bowl, drizzle with the olive oil and stir until well combined. Add the shallots, mustard, tomatoes, salt and pepper to taste. On 4 small plate bowls, add 2 tablespoons of the aioli, with a ring cutter, add the tartare mix into the cutter. Add ½ oz caviar on top of the tartare, place 4 to five garlic chips around the tartare and top with the capers. Garnish with green onion slivers and serve with grilled baguette crostinis. 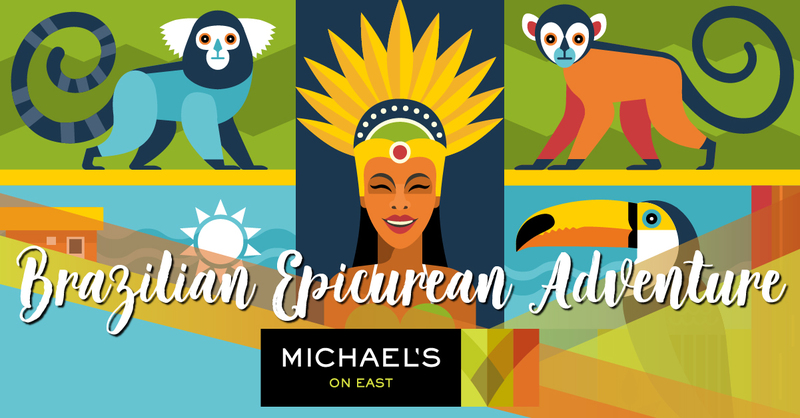 Michael's On East features a Brazilian Epicurean Adventure, beginning November 1 and continuing through November 30. Enjoy this specialty three-course dinner menu featuring dishes inspired by beautiful Brazil for only $38.95 per person. A two-course lunch offering includes a choice of entrée and dessert for only $19.95 per person. We also invite you to enjoy special wine pairings for $8 per glass or $15 for the pairing. Guest Host on Suncoast View! Our own Michael Klauber was honored to guest host Suncoast View this morning. Click here to view the complete video segment. Also inspired by our Gulf Coast Connoisseur Club travels around the globe, Chef Jamil was back in the studio kitchen today sharing his recipe for Bacalhau a Portuguese, Black Cod from our Portugal Epicurean Adventure dinner menu, available through October 31 in the Restaurant. Click here to view Michael's recent TV segment about Inverroche Gin on ABC 7's Suncoast View. 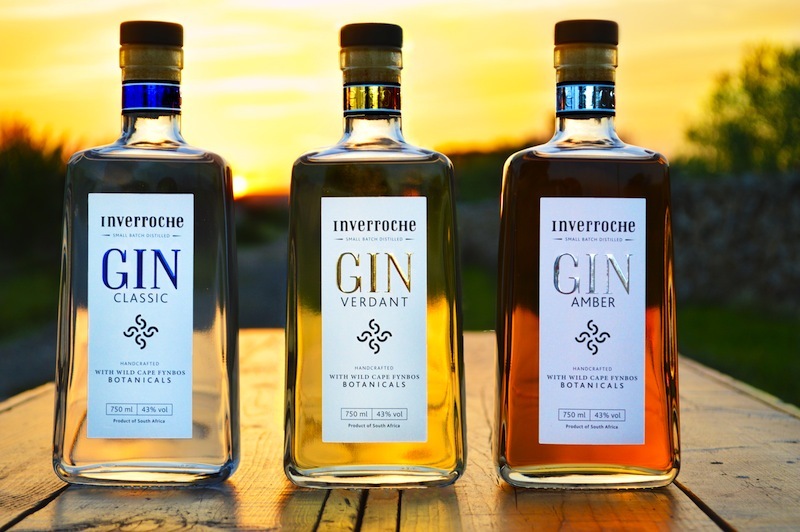 Michael’s Wine Cellar has become the first spirits retailer in Florida to feature all three Inverroche Gins from South Africa. The company’s adjoining restaurant Michael’s On East is also the first restaurant in the state to debut the artisanal spirit with a new cocktail three years in the making. Michael’s Wine Cellar & Michael’s On East Co-Proprietor Michael Klauber first tasted Inverroche Gin with his wife Terri while leading a wine-focused luxury safari journey for clients in South Africa in the summer of 2015. Each Inverroche Gin has a distinctive profile, created using recipes blending between 20 to 30 different varieties of Fynbos, a distinctive flora kingdom - found only in the southern tip of Africa, which are then complimented by various other more traditional gin botanicals.“Fynbos” is the Dutch word for “fine-leaved plants.” The brand currently has three distinct Gins (Classic, Verdant and Amber), crafted using only a handful of the more than 9,000 Fynbos botanicals. The first Inverroche Gins were released in 2012 and are now available in 15 countries. All three of the South African craft gin are now available for purchase at Michael’s Wine Cellar. Infused with fragrant and aromatic fynbos scattered along the dunes of the southern African coastal region, Inverroche Gin Amber showcases the diversity of the bountiful Cape Floral Kingdom. Taste: Dry, woody finish with delicate florals and bright citrus. Inverroche Gin Verdant is infused with a bouquet of fynbos, hand-selected from the mountainous, rocky terrain along the southern African coast. Taste: Fragrant summer blooms, a touch of spice, subtle juniper, zesty lemon rind and alluring liquorice. Beautifully balanced and complex, Inverroche Classic is infused with fynbos harvested from the southern African coastal, Limestone-rich hills and cliffs. Aromas: Upfront green juniper notes blend seamlessly with a bouquet of soft flowers on the nose. Taste: The taste is exotic and intriguing with aromas of citrus, rose petals and assertive florals delivering a crisp, dry and spicy finish. Muddle two Allspice-soaked Figs. Add the above liquors. Stir and strain over ice in a rocks glass. Garnish with the Allspice figs and an orange twist. This dish is one of the most popular new entrees which recently debuted on our lunch menu in the Restaurant. 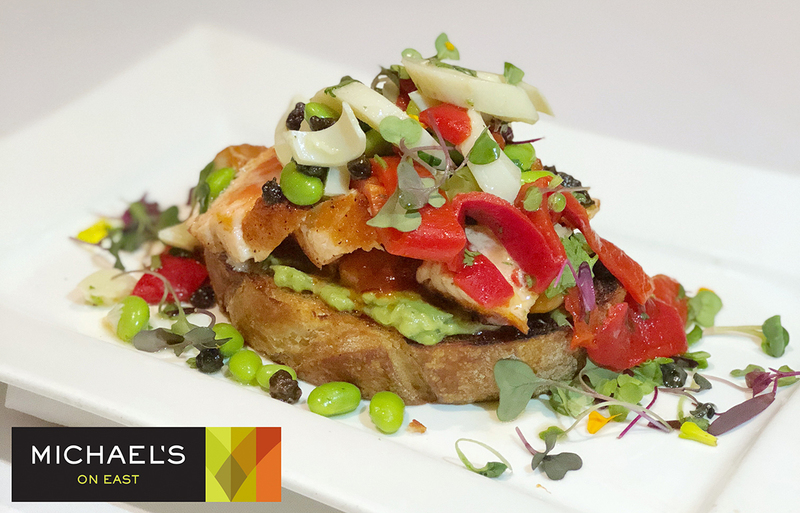 Michael’s On East Executive Chef Jamil Pineda is pleased to share his latest recipe with you to also try at home! Preheat the oven to 350 degrees. Heat a medium sauté pan over medium high. Season the salmon with salt and pepper, add the oil to the sauté pan and sear the salmon for 2 minutes on each side (medium rare). If you would like to reach a higher temperature, place the (oven-safe) pan in the oven and cook the salmon for 6 additional minutes to reach medium well. Set aside until the dish is ready to be plated. Spread the guacamole on all 4 slices of grilled bread. Top with the Greek beans, cut salmon into 6 slices and distribute evenly on top of the beans. In a small mixing bowl, add the hearts of palms, cilantro, half the capers, peppers, oil and squeeze the limes. Season with salt and black pepper and mix well. Top salmon with the mix, sprinkle the rest of the capers and garnish with micro greens. If liquid remains from the mix, top the dish and serve immediately. The "social season" is now in full-swing in Sarasota, so we know you're busy! But some things just can't wait! It's time to pause for just a moment to plan your family's holiday celebrations with Michael's On East and Michael's Wine Cellar. Thursday, November, 22, 2018, 2-8 p.m. In addition to the featured holiday menu, a traditional turkey dinner is available which includes mashed potatoes, pan gravy, candied sweet potatoes, green beans, dried cranberry and cornbread stuffing for $32 per person. Monday, December 24, 2018, 4-8 p.m.
Michael's holiday menu will feature signature dishes a la carte. Tuesday, December 25, 2018, 2-8 p.m.
Monday, December 31, 2018, 5-7 p.m. or 9-10 p.m.
Ring in 2019 in style at Sarasota's only AAA Four Diamond Award restaurant. A $50 cover charge applies for the later seating, which includes live music & dancing. Michael's holiday menu will feature signature dishes a la carte. Call 941-366-0007, ext. 224 or click here for online reservations. Saturday, December 8, 2018, 2-4 p.m. Please bring an unwrapped toy donation for the Salvation Army's Angel Tree Program as "admission" for this annual tasting during the holiday season. Click here for details. Wednesday, December 12, 2018, 6-8 p.m.
We can always come up with an excuse to pop the bubbly, but this popular event is the most effervescent of the year! 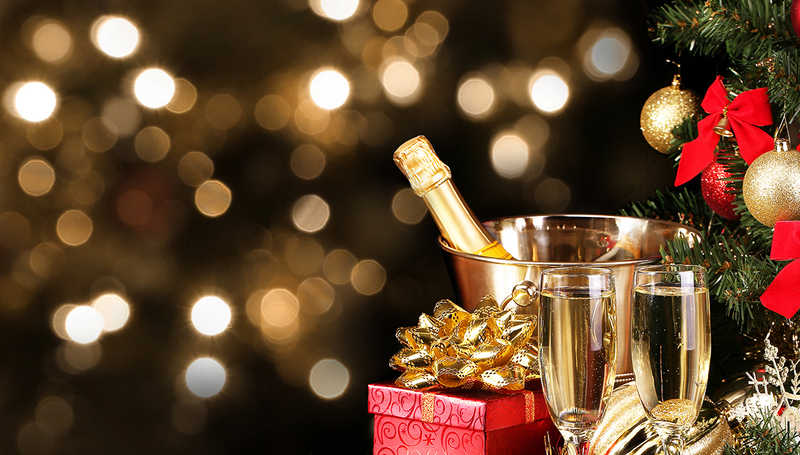 Be sure to reserve early as Michael's Holiday Champagne Tasting always sells out early. Click here for details. In addition to holiday parties catered on-premise and off-property by Michael’s Events & Catering, the Private Dining Room at Michael’s On East provides an elegant backdrop for breakfast, luncheon or dinnertime holiday celebrations for corporate groups, families and friends. Michael’s also serves as the exclusive caterer for all private parties held at Selby Gardens in downtown Sarasota and Bay Preserve in Osprey. On select dates during the month of December, Selby Gardens hosts Lights In Bloom, an annual holiday light exhibit with more than one million lights illuminating the Gardens! Book your holiday party on one of these special nights and offer your guests an exclusive, interactive holiday experience to complement your event! Guests will have private access to the Michael's on the Bay Ballroom, catered privately for your event, and complimentary access to enjoy an evening stroll through the Gardens to enjoy Lights in Bloom. Book now as limited dates remain available for holiday parties. Contact Michael’s Events & Catering Division at 941-366-0007, ext. 238 for more information or click here to request a proposal. From Michael's gift cards and gourmet gift baskets to a fabulous bottle of Bordeaux or Scotch and gift memberships to Michael's Wine Club, Michael's Wine Cellar is your go-to stop for holiday shopping. Click here to learn more about holiday gifts for wine lovers. It's time to secure your holiday reservation for Thanksgiving at Sarasota's only AAA Four Diamond Award restaurant! As a proudly independent restaurant with a strong focus on family for more than three decades, the entire Michael’s On East team takes special pride in offering holiday celebrations for our guests to enjoy with family and friends. A holiday menu—offering favorite signature dishes and inspired global fare a la carte—is offered on Thanksgiving, Christmas Eve, Christmas Day and New Year’s Eve. 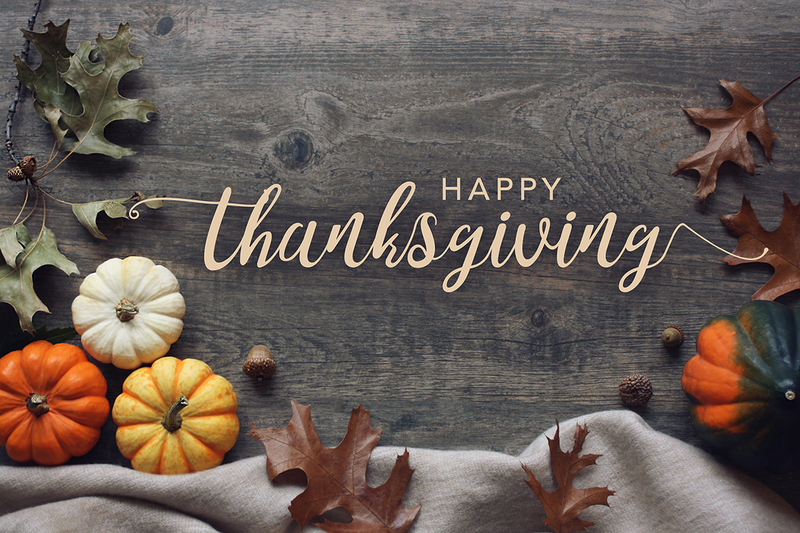 On Thanksgiving, in addition to the featured holiday menu, a traditional turkey dinner is available which includes mashed potatoes, pan gravy, candied sweet potatoes, green beans, dried cranberry and cornbread stuffing for $32 per person. Call 941-366-0007, ext. 224 or click here for online reservations. It’s your final chance to take advantage of Wine Lovers Thursdays at Michael’s On East. Toast the “occasion” – any occasion really! – by enjoying half-priced bottles of wine during lunch and dinner in the Restaurant as you explore the 350+ bottle wine list recently recognized with the “Best of Award of Excellence” from Wine Spectator. Wine Lovers Thursdays continue through October 2018 for Gulf Coast Connoisseur Club members. Click here to browse the current wine list. Also for a limited time, enjoy an Epicurean Adventure to Portugal by indulging with a two-course lunch or three-course dinner, beginning on October 1 as part of Eat Like a Local Restaurant Week and continuing through October 31 at Michael's On East. Season is in full season in the Restaurant, Wine Cellar and newly-renovated Michael’s On East Ballroom! Click here to browse our full calendar. Given Sarasota’s thriving social scene paired with gorgeous weddings, client parties, corporate meetings and creative fundraising events which keep the Michael’s On East Ballroom packed throughout the year, it was difficult for Co-Proprietors Michael Klauber and Philip Mancini to find a time to get a transformation of our timeless Ballroom scheduled! The Michael’s On East Ballroom presents ‘sophisticated elegance’ at its best. Perhaps the most dramatic update to the space has been the addition of the mocha molding which now frames the windows and extends around the entire room. The deep earthy color continues to the ceiling above each window with roman shades in wood grain, a fiddlesticks type of look in very warm colors. Our design is ‘smart chic’ in earth tones. The columns have been covered with chocolate and vanilla crystallized tile which gives them a slight sparkle. The carpet is gorgeous and adds additional depth to the design. It’s reminiscent of a riverbed, invoking a wonderful movement of water. As guests enter through Michael’s Parisian scene in the Atrium Courtyard with its romantic feel from the twinkle lights, the energy transitions seamlessly into the elegant indoor Ballroom. The updated lighting provides a soft halo effect around the room. The artistic painting detail on the walls also take on a new depth in the Ballroom, serving as a counter-balance to the new molding. Our colors are so neutral that any event theme or color scheme will be complimented and enhanced when celebrated in the Michael’s On East Ballroom. Jonathan McPherson joined the team at Michael's On East last year having worked in the hospitality industry for 15+ years. And what a fabulous addition he has been to the team! With CMS Level 1 credentials, he helped wine collectors navigate our massive inventory at Michael's Wine Cellar before settling into a permanent position behind the bar in the Restaurant. He's lived in Virginia, North Carolina, and Florida, more specifically calling AAA Four Diamond Restaurants Zoes Steak and Seafood (Virginia Beach, VA), Kimball's Kitchen (Duck, NC) and Michael's On East (Sarasota, FL) home over the past five years. Jonathan loves what he does. "I couldn't ask for a better profession. I bring smiles to people's faces by getting what they want in their glass," he says. 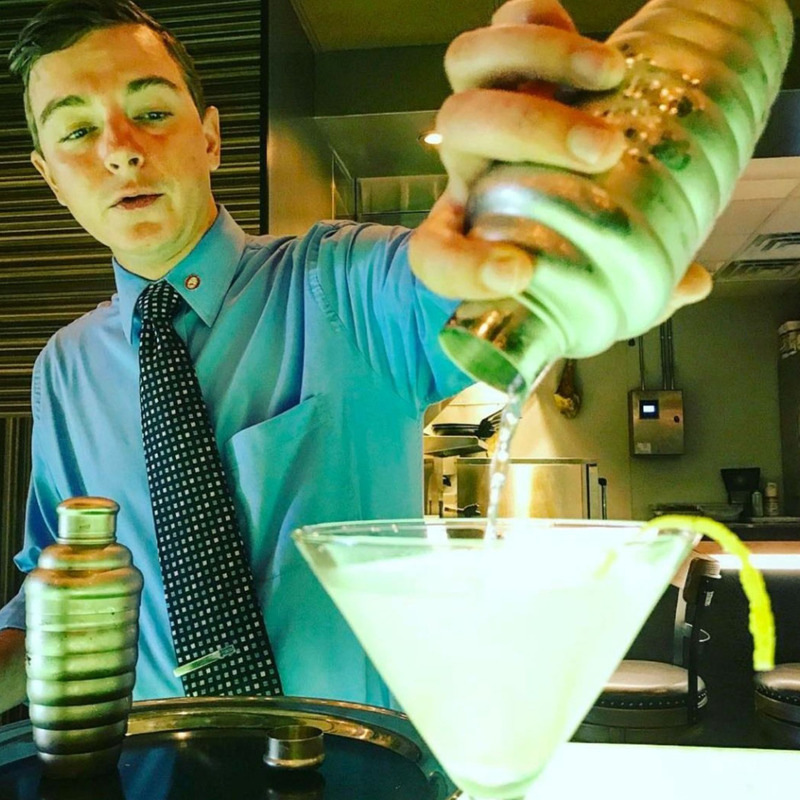 At Michael's On East, we appreciate Jonathan's creativity and commitment as a mixologist who brings smiles to our guests' faces in the Lounge whether they are craving a classic martini or ready to experience one of his unique craft cocktails. If you'd like to cheer Jonathan on in a fablous cocktail competition, you're invited to purchase tickets to "Set the Bar" presented by the Sarasota-Manatee Originals on Thursday, October 4 at Aloft Sarasota. Set the Bar is back for another round, this year featuring the finest whiskey cocktails on the Suncoast crafted with Four Roses Bourbon! Join the Sarasota-Manatee Originals and the Child Protection Center for the 2nd Annual Set the Bar Cocktail Competition featuring 13 local bartenders from Original member restaurants who will compete for the exclusive title of Top Bartender on the Bay. Click here for full details and tickets. You've come to appreciate the Michael's On East team's collective wine knowledge for years - even decades for several on the team - as servers carefully guide your wine selections in the Restaurant. 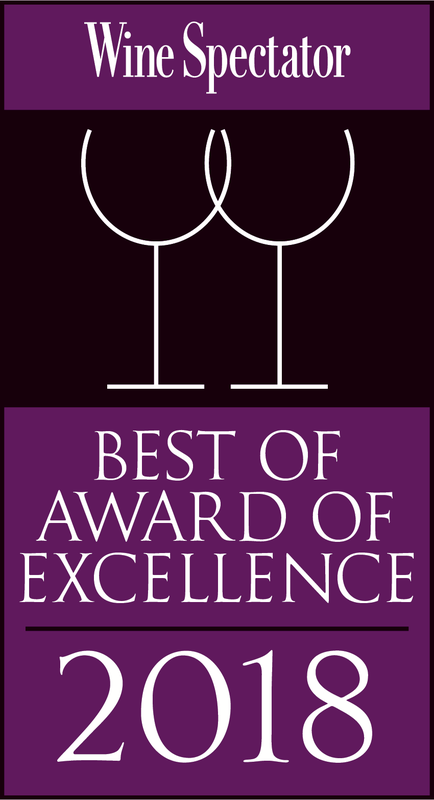 Michael's On East was also recently awarded the 2018 Best of Award of Excellence from Wine Spectator, so you really can't go wrong with a wine selection in the Restaurant, of course. However, the knowledgeable team is prepared, now more than ever, to expertly guide your next wine experience. 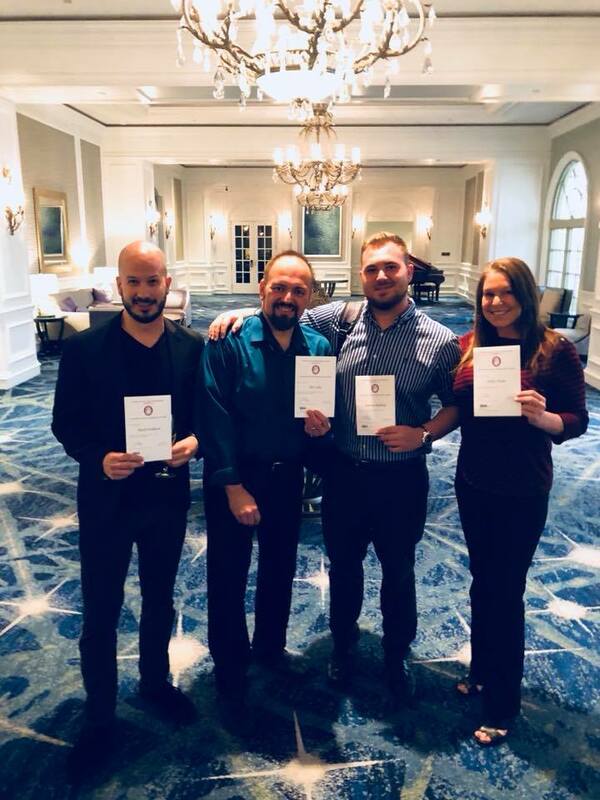 Last week, four members of the Michael's On East team earned Sommelier certification, completing the first stage of the formal educational program of the Court of Master Sommeliers, Americas. Congratulations to Mark Fishburn, Joe Loria, Andrew Podhola and Kelly Taylor! We're so proud to have the "new" sommeliers on the team, especially since you'll already recognize a few of these faces quite well as long-time Michael's On East veterans. 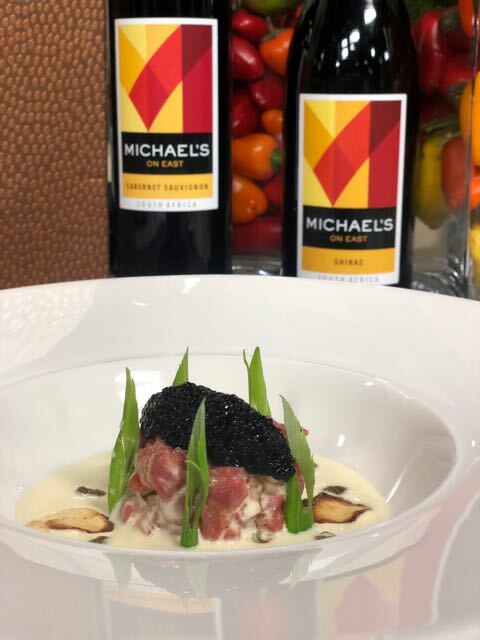 Michael’s On East has been honored for its outstanding wine program in Wine Spectator’s 2018 Restaurant Awards. The restaurant is recognized among other winners from all over the globe as a top destination for wine lovers. Michael’s patrons also have the unique benefit of purchasing wines they discover on the Restaurant’s wine list from the adjacent retail store, Michael’s Wine Cellar. Wine Spectator began its program to recognize the world’s best wine lists in 1981. There are three levels: the Award of Excellence, the Best of Award of Excellence and the Grand Award—with 2,453; 1,215; and 91 winners this year in each respective category. Michael’s On East has won the Best of Award of Excellence for the second consecutive year, after 25 years being recognized with the Award of Excellence. Best of Award of Excellence recipients offer more extensive selections with significant vintage depth and excellent breadth across multiple regions. The complete list of award winners is available in print in Wine Spectator’s August issue and online at Restaurants.WineSpectator.com, where visitors can search and access exclusive content on the more than 3,700 restaurants. The full list is also available for free on iOS via the Restaurant Awards app, which allows users to look for dining spots in any location with maps, choosing by wine strengths, cuisine type, pricing and more. Wine Spectator is the world’s leading authority on wine. Anchored by Wine Spectator magazine, a print publication that reaches around 3 million readers worldwide, the brand also encompasses the Web’s most comprehensive wine site (WineSpectator.com), mobile platforms and a series of signature events. Wine Spectator examines the world of wine from the vineyard to the table, exploring wine’s role in contemporary culture and delivering expert reviews of more than 16,000 wines each year. Parent company M. Shanken Communications, Inc., also publishes Cigar Aficionado, Whisky Advocate, Market Watch, Shanken News Daily and Shanken’s Impact Newsletter. Please enjoy another recipe from the Michael's On East kitchen! 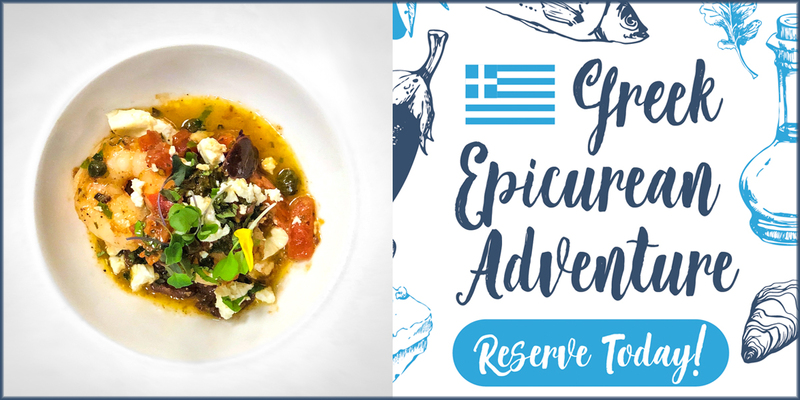 Michael’s On East Greek Shrimp "Saganaki"
Created by Michael’s On East Executive Chef Jamil Pineda as part of the Greek Epicurean Adventure in August 2018. Combine all ingredients into the softened butter. Mix thoroughly and set for 2 hours. Season the shrimp with salt and black pepper. Heat oil in a large skillet over medium high heat. Add the shrimp and sear on both sides, add the tomatoes, capers, olives and cook until the tomatoes are softened. Add the butter and Ouzo, then emulsify together. (Be careful as the Ouzo will ignite liked a flambé.) Take off the heat once the butter is totally melted and combine with the Ouzo. Place three shrimp on the middle of a pasta bowl and add sauce on top. Finish with feta cheese and serve. Trust Michael’s for the Perfect Holiday Party! For three decades, Michael’s On East has been celebrated as Sarasota’s “Best Caterer.” Whether celebrating on-site at Michael’s venues or around town at the magical Selby Gardens and Bay Preserve, you can trust our professional team to produce a special experience for all your guests! Whether you are planning your company’s annual holiday party, a family celebration during Hanukkah, “Secret Santa” luncheon with your girlfriends or even a New Year’s brunch, the Michael’s team will make party planning painless! The Ballroom’s timeless style has been known for decades as the perfect location for holiday parties! The versatile space offers a perfect backdrop for imaginative and themed events. The stunning glass-covered garden Atrium is a unique space for a pre-meal reception. Whether for a luncheon or evening event, the Ballroom is easily partitioned for smaller, more intimate gatherings. The space can accommodate seated groups of 50 -400 guests for standing indoor receptions . Up to 1,000 guests can be welcomed for events spanning the indoor Ballroom and adjoining Atrium courtyard. The stunning glass-covered garden Atrium is a unique space for a pre-dinner reception. 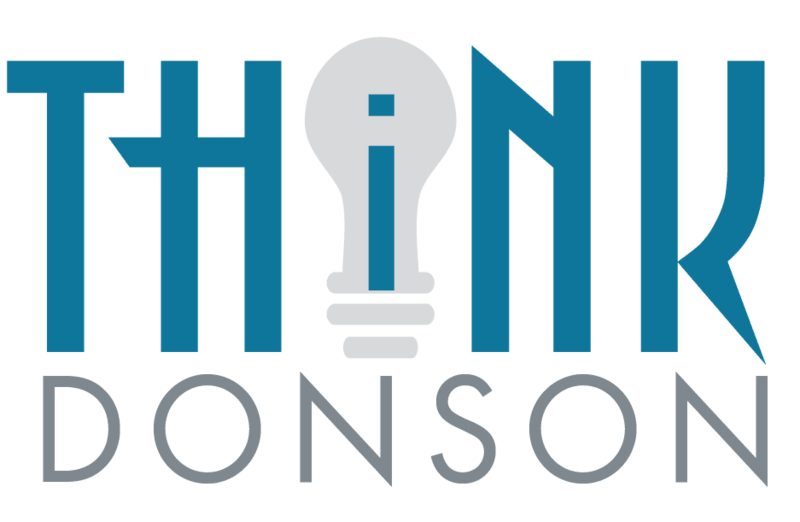 If your business or association is ready to host a holiday bash in the Ballroom, several Saturdays are available in December 2018. Host a gathering at Sarasota’s only AAA Four Diamond Award Restaurant! The holiday season provides the perfect excuse to enjoy fine dining at its best! In addition to functions during regular business hours, private brunches or luncheons on Saturdays & Sundays are available. Award-winning cuisine and outstanding service are presented in an exceptional 1940s supper club atmosphere. The unique architectural design and swirling spaces throughout the Lounge and multiple dining rooms will take you away to another place and time. The Restaurant’s intimate Private Dining Room accommodates up to 40 seated guests and Restaurant venue in its entirety accommodates up to 150 guests for a seated event or to up 300 guests for a reception. Michael’s proudly serves as the exclusive culinary partner at Selby Gardens, catering all special events and private functions on the property and at the all-new, waterfront Michael’s on the Bay at Selby Gardens. Michael’s on the Bay is available for luncheons and evening celebrations and, having opened in the fall of 2016, is one of Sarasota’s newest event facilities. The 4,800 square-foot venue has 80 feet of glass windows that provide unobstructed bay and sunset views. This unique space features an outdoor balcony, theatrical lighting and modern interior design features. The interior can seat up to 300 guests and host up to 500 for receptions. Please Note: Limited dates remain available for the 2018 holiday season. Be sure to contact Michael’s Events & Catering now: 941-366-0007, ext. 226. Click here to request a proposal online. The Michael's culinary team was delighted to join this year's competition at Mote Marine Laboratory & Aquarium, alongside several area chefs and colleagues who care about the marine environment - and appreciate great food! Special thanks to Mote Marine Laboratory & Aquarium, Whole Foods Market, REEF (Reef Environmental Education Foundation) and all participating organizations who helped raise awareness about invasive species as part of the 2018 Lionfish Derby which concluded on Sunday, July 8. Way to go, Jamil, and kudos to Philip’s brother John Mancini of the Deep Sea Diner who took second place! The biggest winner of the weekend? The Gulf of Mexico! 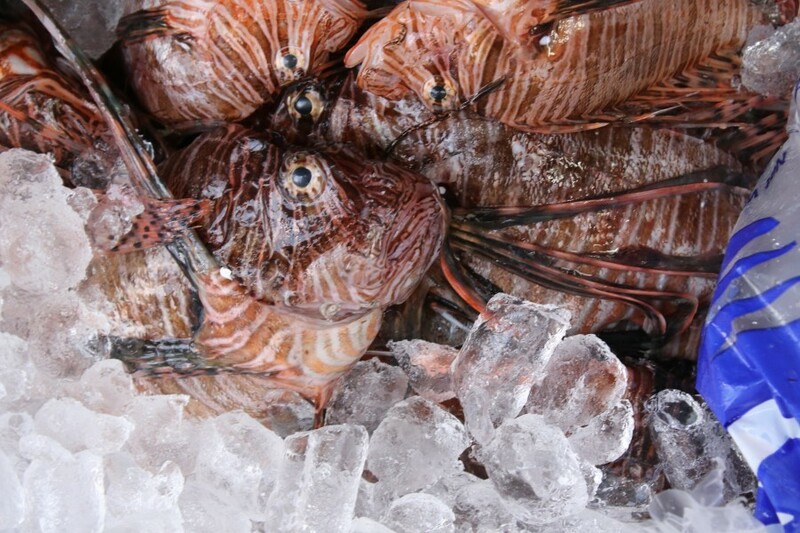 Thanks to six teams of divers who removed 545 invasion lionfish from the Gulf. Non-native marine fishes can pose a major threat to marine fisheries, habitats, and eco-system function. Click here to learn more. Michael's On East features a New Orleans Epicurean Adventure, beginning July 2 and continuing through July 31. Enjoy this specialty three-course dinner menu featuring dishes inspired by the French Quarter, also known as the Vieux Carré, for only $38.95 per person. A two-course lunch offering includes a choice of entrée and dessert for only $19.95 per person. We’d never suggest that one course could ever be better than another at Michael’s On East, but we know some loyal guests are true lovers of dessert. While it may be difficult to “save room,” you’ll never regret indulging when it comes to the decadent desserts created by our in-house Pastry Chef Catherine Tighe and her talented team in the Pastry Shop! This summer, we invite you to enjoy the season’s freshest fruits with Chef Catherine’s Peach & Summer Berry Almond Cobbler. If you only have eyes for chocolate, we suggest trying the all-new Amarena Cherry & Chocolate OREO Ice Cream Bombe. Of course, it's the "bomb!" An Assortment of Cookies to Share! "Happy" and "Monday:" Two words which don't always seem to go well together, except when you consider a special Monday happy hour program at Michael's On East! Every single Monday* at the Michael's On East Lounge, you have all night long to celebrate happy hour, beginning at 5 p.m. until the Restaurant closes! Michael's popular happy hour beverage specials ($6 Michael's Private Label Wines, Draft Beers or Well Cocktails) are offered all evening each Monday. So what could make this fun start to the work week even better? How about enjoying a cocktail, beer or glass of wine while helping to support local nonprofit organizations at the same time! Every Monday, July 2 through August 27, 2018, Michael’s On East will donate 10% of beverage sales on Mondays in the Restaurant’s Lounge to The Circus Arts Conservatory. The Circus Arts Conservatory’s mission is to engage and educate students using unique and innovative learning programs; to measurably improve the quality of life for individuals in care facilities; and to advance the extraordinary legacy and heritage of the circus. The Circus Arts Conservatory’s extraordinary mission underscores its commitment to sharing the entertainment, education, and enrichment that Circus Arts provide. To learn more about this unique cultural organization, visit circusarts.org. 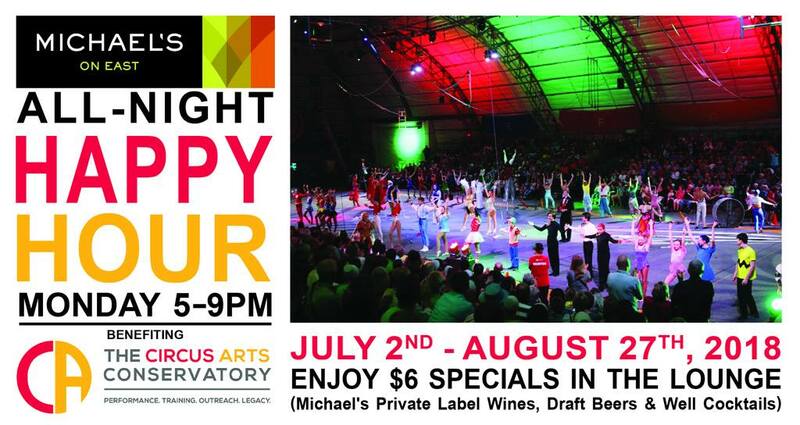 Please join us Mondays this summer in support of The Circus Arts Conservatory. Allow us to introduce you to a cocktail three years in the making! It’s true, for years Michael and Terri Klauber have been working to make Inverroche Gin available to Michael’s On East and Michael’s Wine Cellar guests in Sarasota. The Klaubers first tasted the gin crafted with Fynbos botanicals, indigenous flora from the Cape, while leading a Gulf Coast Connoisseur Club journey through South Africa’s Cape Winelands. Although they are known for their expertise and love of wine, the Klaubers quickly came to appreciate the distinct flavors of this refined spirit, in a refreshing cocktail or on the rocks. This month, at last, our team is pleased to be the first retailer and restaurant in Florida to offer Inverroche Amber Gin. (In fact, we have exclusivity in all the Southeast!) When you personally taste this South African craft gin, you will learn it was well worth the wait! 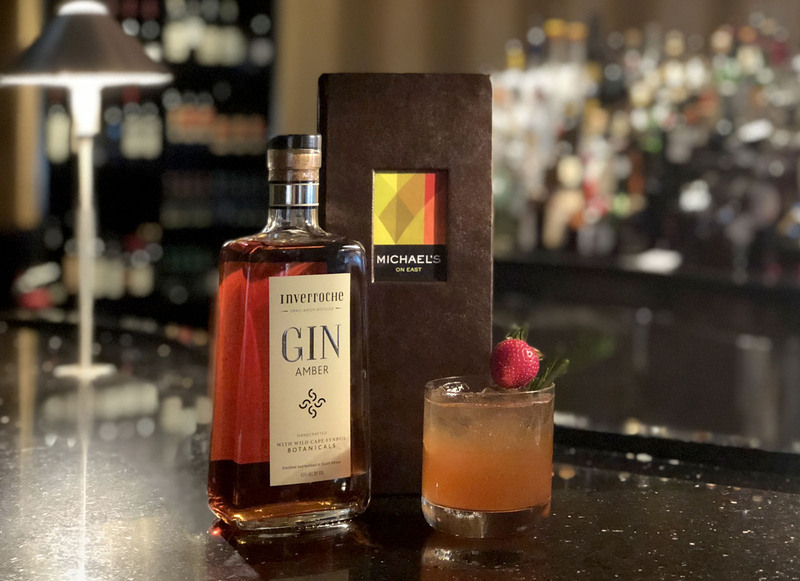 Making its debut in the restaurant, the Inverroche Amber Gin is featured in a new handcrafted cocktail created by Michael’s talented team of mixologists. The Cape Town Cooler is available during lunch, happy hour or dinner at the Michael’s On East Lounge or in the Restaurant’s dining rooms. A 750 mL bottle of Inverroche Amber Gin is also available for purchase for $39.95 from Michael’s Wine Cellar, our adjacent wine and spirits retail store. Each Inverroche Gin has a distinctive profile, created using recipes blending between 20 to 30 different varieties of Fynbos, a distinctive flora kingdom found only in the southern tip of Africa, which are then complimented by various other more traditional gin botanicals. This statement couldn’t ring truer for the Klaubers, and we think you will agree! Please continue reading to learn more about the Inverroche Distillery and its craft gins, or simply stop by Michael’s On East and Michael’s Wine Cellar to taste for yourself and allow our team to share the rest of the story about these artisanal spirits! As the pioneers of South African craft gin, Inverroche Distillery was founded by Lorna Scott and her family. Growing from strength to strength in the local community of Still Bay in the Western Cape of Southern Africa. In just six years, the distillery has grown from a small home industry to a flourishing and pioneering craft distillery. A distillery that is invested in its community and producing world class gins and spirits. Inverroche takes its name from the combination of two words that pay homage to the Scott ancestry, referencing both their Celtic and Gaelic backgrounds. The Scottish word “Inver” meaning ‘a confluence of water’ and the French word “Roche” meaning ‘rock or stone’ are the very elements that have come together in Still Bay to create the conditions necessary to make these world class, one-of-a-kind craft gins. Today, the brand has three distinct gins (Classic, Verdant and Amber), crafted using only a handful of the more than 9,000 Fynbos botanicals. The craft gins are currently being sold in 15 countries globally. Click here to learn more about Inverroche Gin.